I was recently introduced to a local organic/natural foods co-op and buying club in a neighboring town. I was surprised to know that it existed, as I have been in the area for seven years, and no one that I knew personally participated in it. Due to a desire to save money while eating a healthier and more sustainable diet (a work very, very much in progress), my interest was piqued. 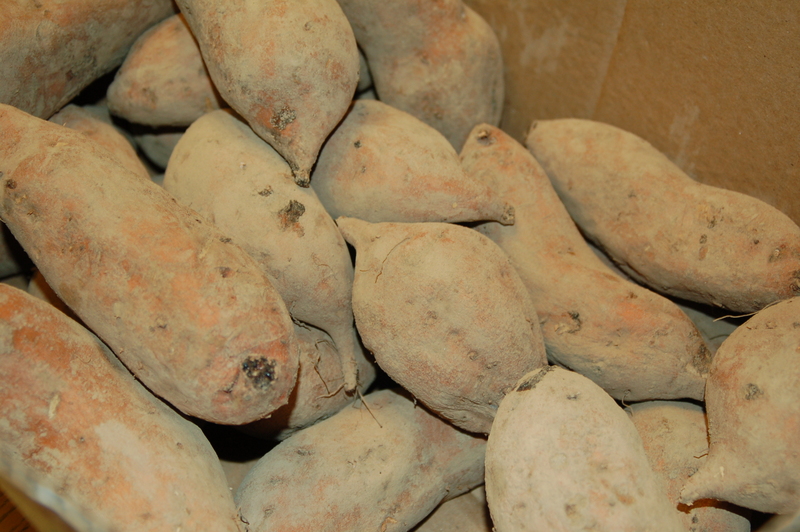 Our local buying club works through several wholesale suppliers of organic and natural foods. Volunteers work with participants and suppliers to coordinate orders on a regular basis. Many products are significantly cheaper to buy in bulk, so members will split cases of a product whenever possible. There is a $15 membership fee (a one-time only charge) after a two month trial period, and members can volunteer to help with administrative duties, deliveries, sorting orders, etc. in order to have purchasing power without the small service fee per order (something around 5-10%, depending upon the supplier). Within a day or two of joining the club, I managed to catch the end of a “split order” that was being submitted to a supplier–meaning that certain items had been requested by members who wanted to pay the more inexpensive price extended to those who ordered items by the case, but who did not want to purchase said full case themselves, so you could purchase the remaining items in it to be able to order the case at the bulk discounted price. For example, someone wanted to purchase two packets of organic taco seasoning at the discounted case price. However, they only wanted two packets, and a case had ten of them within it. So, since we use taco seasoning on a very regular basis (and since we prefer spicy, flavorful varieties), I decided to buy the other eight packets. Both of us then were able to receive the discounted case price. 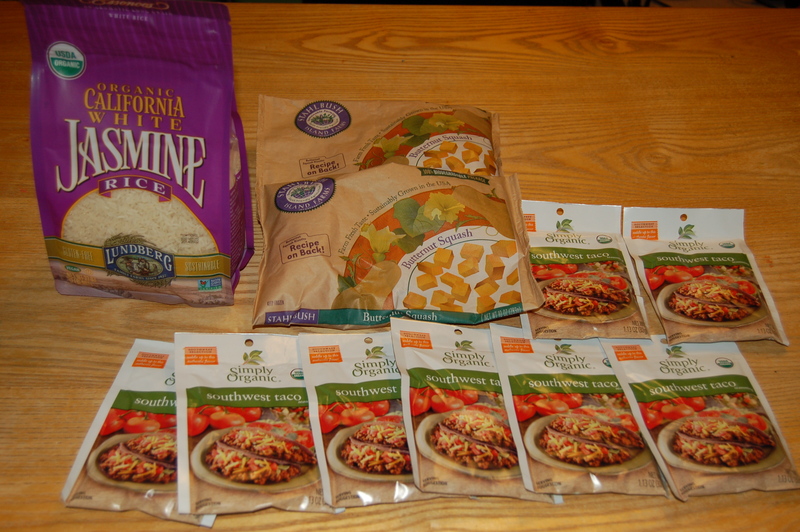 In my order, I purchased two pounds of organic California white jasmine rice, two 10 ounce bags of butternut squash, and eight packets of organic taco seasoning. I’m not entirely convinced I received a monumental price break. Per item, I did receive a discount as opposed to buying them at retail online (plus shipping). And compared to “conventional” foods, well, let’s be honest, the “conventional” items will almost always be significantly cheaper compared to organic foods and produce. It’s just the way it is. However, when compared to the organic items I sometimes find at discount stores or the local scratch-and-dent grocery store, the items purchased via the co-op/buying club were still higher in price. However, several points in favor of the buying club…. For starters, I did not make much of an effort to track the items that were on sale or heavily discounted, or discontinued, etc. I am still learning how to navigate the suppliers’ catalogs and lists. Most of us, like myself, are used to making purchases with catalogs full of glossy pages and photographs. A wholesale catalog seems to be mere item numbers, names, and lots of price listings with abbreviations I am still learning, so I don’t feel as confident making wise choices as to what to buy and what to avoid just yet. Also, the food options and choices available are countless compared to any of the grocery stores in our area–if I want something, I am pretty much certain to find it in a supplier’s catalog somewhere, be it essential oils or spices or meats or cheeses, anything. Anything that I can think of is available somewhere. And, ultimately, in the end, the club will still be cheaper, and more than likely a provider of higher quality foods, than the mainstream grocery store. I am also thrilled to be participating in a community of people who are interested in the same dietary and environmental goals that I possess (even if I’m not very far at all in achieving them). It will be a fun challenge to see what is on sale next time, and whether I have figured out any tricks to obtaining a better deal on my purchases the second time around. I’m also interested in possibly joining a co-op in my former hometown, and it has an actual storefront that has been in operation for decades. Do you participate in a co-op or a buying club?